SMARTY Trend head device overview for Kia Ceed. Car Kia Ceed is especially popular among car enthusiasts. One of its advantages, we can call low cost, reliability and ease of maintenance, thus it is the table one of the ideal options for city streets. But despite this, a lot of questions remain to its functionality, since the head unit leaves much to be desired, and an appeal to the official representatives will not meet your expectations. 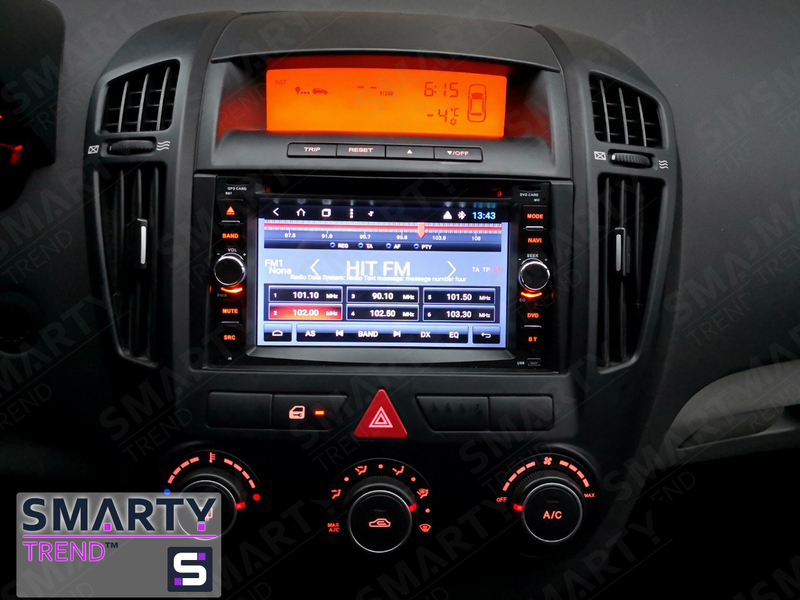 The company SMARTY Trend will help you to choose the head unit exactly on your car. We need to look at some of the features that are associated with the installation and functions of the device. For installation in the car Kia Ceed 2006 - 2009 release, requires a special transition frame to install the head unit. All other necessary components for the installation of the radio are included. Installation takes place on the principle of the connector in the connector, without additional work. Therefore, dont worry about the installation. As for the quality, it should be noted that the head unit is in no way inferior in quality to the standard device, but the functionality is no worse than in cars of the last year of production. Not all cars provide navigation, even in a high configuration. The problems that arise when using standard navigation have long been familiar to everyone. The solution to this problem is the installation of a SMARTY Trend unit, you can choose for yourself the navigation that is right for you. It should be noted that the determination of your location is performed using satellite communications, thus you dont depend on Internet coverage. No matter where you are, you will always know where to go. For many motorists, the speed of the device, is one of the key factors. 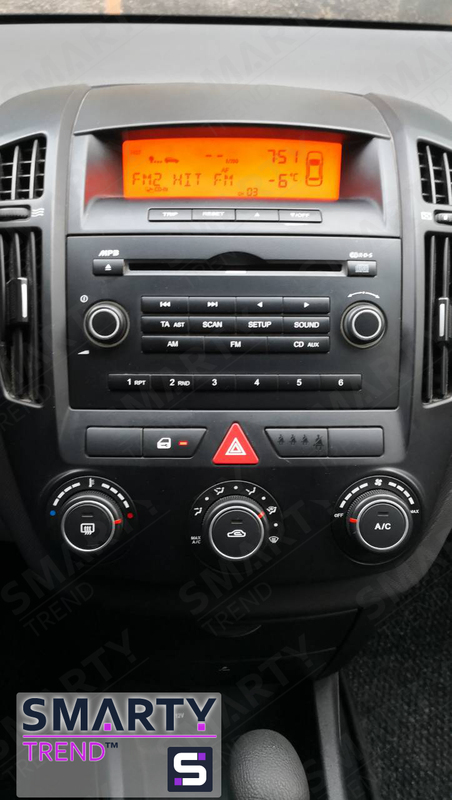 SMARTY Trend head units are based on an eight core processor, 1.8 GHz Octa-core (Allwinner T8), we have Android 8.1 on board with the ability to upgrade to the ninth version of the operating system. Thus, SMARTY Trend radio cassette not only instantly responds to your request, but can also work in parallel in several programs at the same time, without any lags. The interior in this car has changed, the head unit recorder has made the center console more modern and practical. The build quality and the materials used are definitely superior to the factory version. New features of Android systems provide you with a huge number of new features that are in new cars. The ideal deveice price and quality Individual approach to each client, the selection of head unit for your car - this is only a small part of those new features that are available to your car today.